Medical professionals provide a wide variety of care and their jobs are undoubtedly stressful at times. 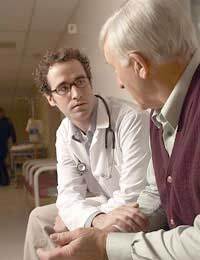 Balancing a patient’s physical requirements with their emotional and spiritual ones, accommodating the needs of the family, and trying to avoid becoming too personally involved in one’s cases can take its toll, but for those who provide end of life care, handling all of that is just part of their everyday lives. After the delivery of a terminal diagnosis, patients and their families are thrust into a painful, stressful, and often exhausting chapter of their lives, and in most cases, they feel completely unprepared for what is to come. Stacie makes a point of paying attention to how everyone is coping—not just her patient.